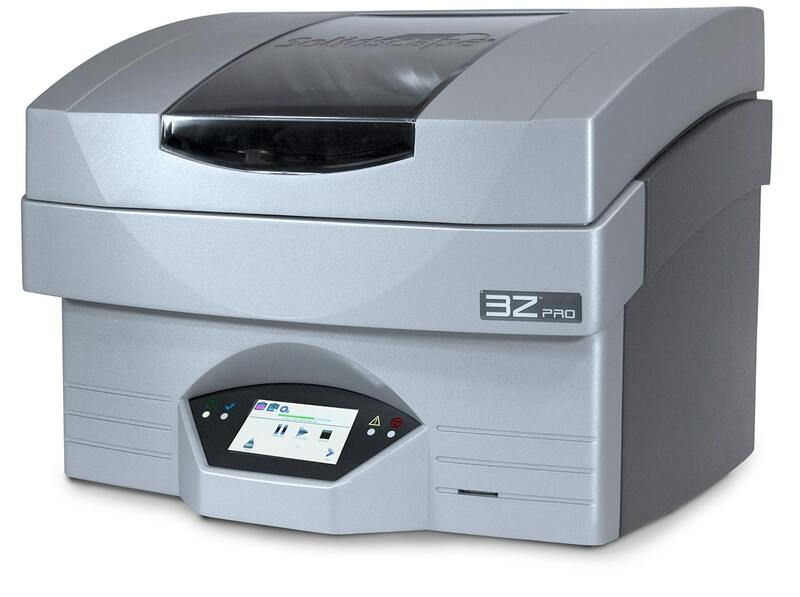 You are here: Home / Blog / General Information / Our New Solidscape 3z Pro 3D Printer! 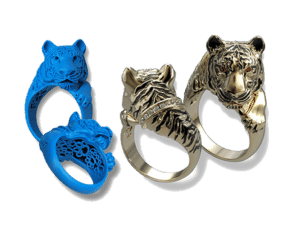 We invest in the latest technologies that give us the design edge for custom jewelry in Kansas City. 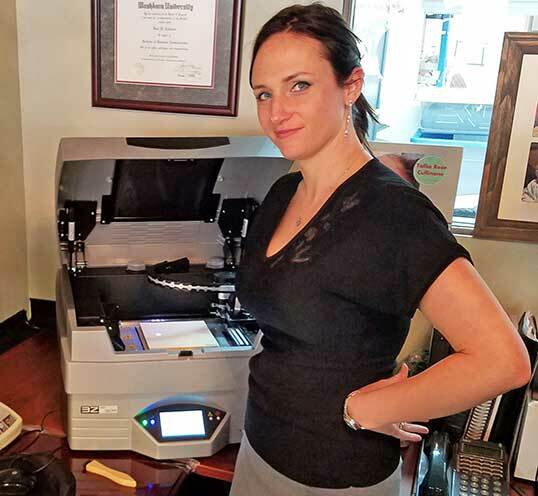 Our most recent investment in jewelry technology is a new Solidscape 3z Pro 3D printer. 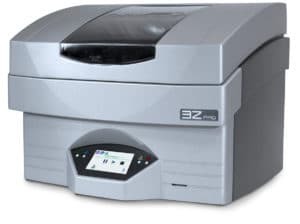 This printer allows us to go from 3D design to finished item more accurately and efficiently. A 3D printer allows us to “print” a wax version of the jewelry item we are creating. It does this by extruding wax, a thin layer at a time. Layer upon layer, until the entire item is printed. Basically, we print wax parts that are ready for casting! Karen creates a design in our 3D software and then prints the job with wax on the 3z Pro. We then take the wax version of the item and create a mold. We pour metal into the mold to create the jewelry item and our jewelers do the finishing. One of the things that’s great about the new Solidscape 3z Pro is that it produces extremely smooth wax parts. It’s also much more precise and can create incredibly intricate designs and geometries. This opens up an entirely new level of creativity and detail options for Karen and our customers! Want to know what’s possible? Give us a call to set up a consultation with Karen!